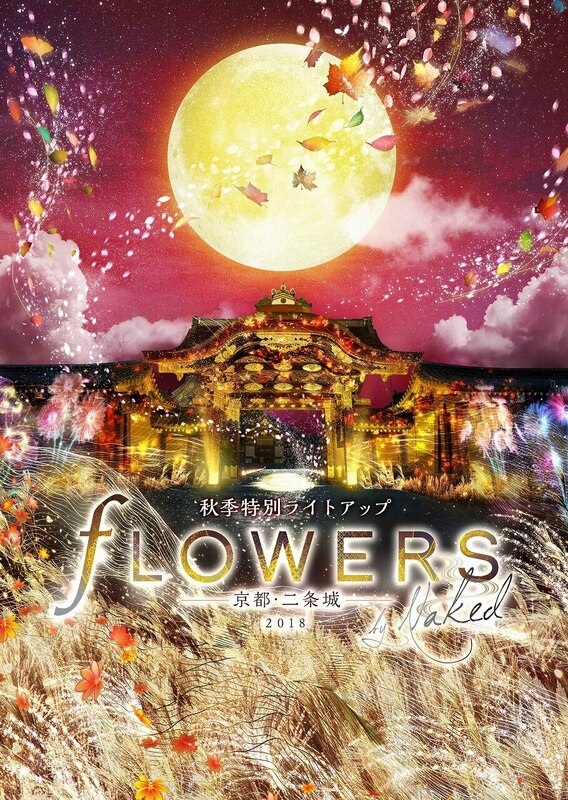 FLOWERS BY NAKED, an immersive art event that fuses flowers and tradition, will take place at Nijo Castle from November 3 to December 9. The exhibition has pulled in 300,000 spectators to date into a colourful and immersive world of art. Over 50,000 posts with the hashtag #flowersbynaked have been recorded with plenty of photogenic pictures. This new holding of the exhibition marks its first appearance in the Kansai region of Japan. 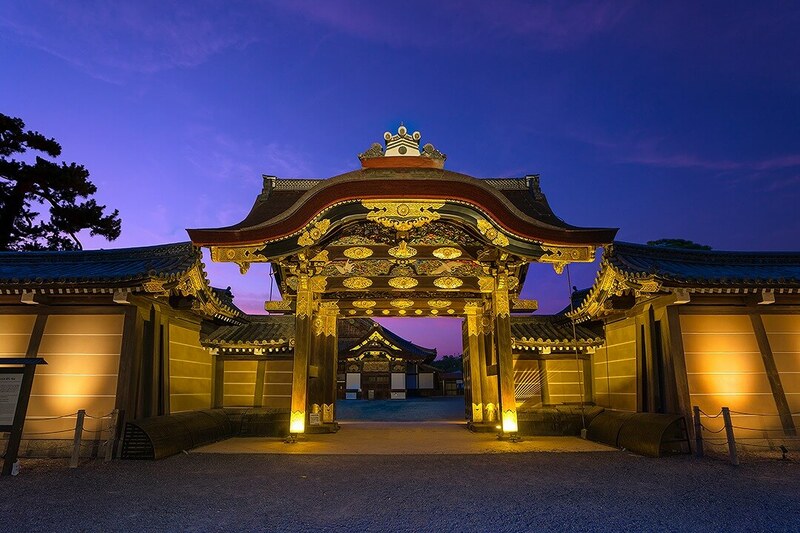 Designated as an official World Heritage Site by UNESCO, Nijo Castle will receive a special autumn themed light-up with many of the site’s historical architecture used for the exhibition. Visitors will be able to enjoy autumn-time Kyoto to the fullest. Another event titled Nijo Castle Festival also began on September 28 in the run up to the event which consists of a performance of original sounds and illuminations of the castle buildings and rooms as well as a night tour by an official Nijo Castle guide and more. 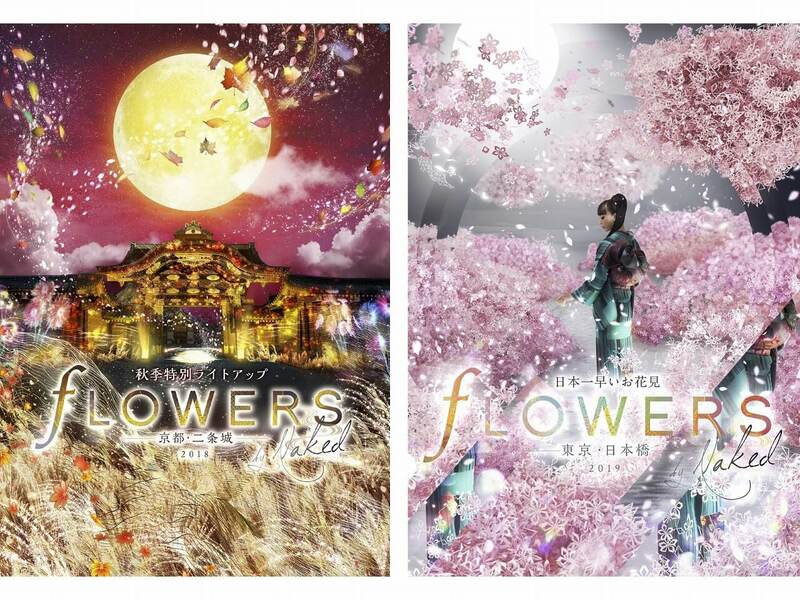 FLOWERS BY NAKED will make its way to Nihonbashi Mitsui Hall in Tokyo on January 29, 2019 where it will run until March 3. This will be the 4th time the event has been held in Nihonbashi. Merging together flowers and tradition, it will give way to a string of traditional Japanese motifs like tearooms, classic poetry and more. Leading artists in a range of traditional Japanese fields will be in attendance too, coming from the worlds of flower arrangement and the traditional incense-smelling ceremony. Collaborative artwork as well as lots of new elements are planned for next year too. 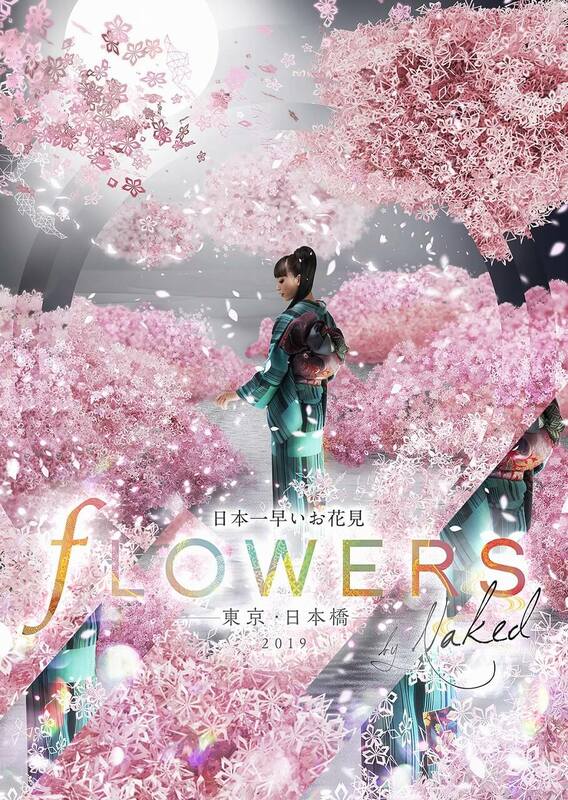 Experience the beauty and creativity of art first-hand at FLOWERS BY NAKED – and at a World Heritage Site.